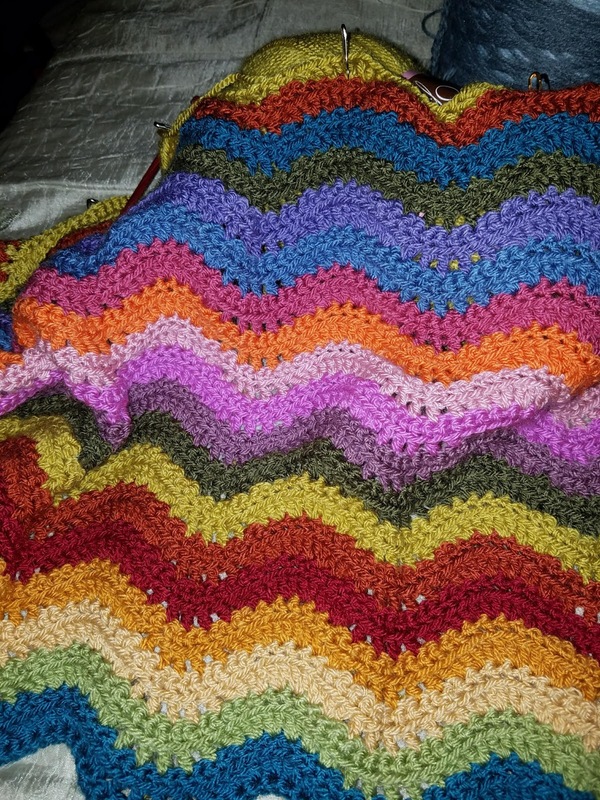 I started another crochet project, because I had some of the yarn and am having a great time with the blanket. 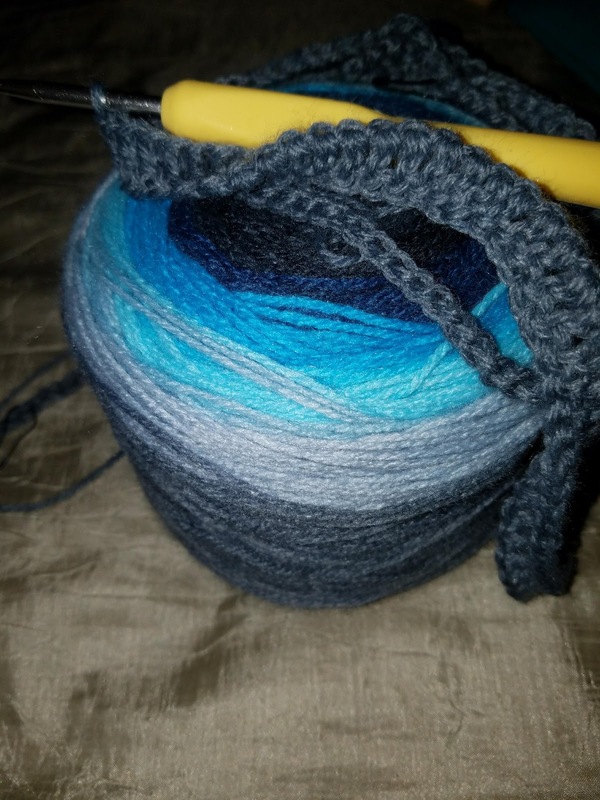 I pulled out the Mandala yarn from Lion Brand that I bought for Little Man. His birthday is Saturday, and he will be 11. Can you believe it? Eleven already. He is as smart as ever, picking up some sarcasm like a good boy, and has a terrific sense of humor. I asked him about a sweater for his birthday, and he still wants one. It won't be ready for Friday, but I will make one. I also have a dragon to make for him. A big one, with enormous wings. This year will be more fun stuff, and not so much about Christmas. I still have a sweater for me and some socks, 2 unicorns and blankets for the girls, several books to read and at least one shawl for me. That should keep me sufficiently occupied this year, don't you think?